You must make bookings at least 5 minutes in advance of the time at The Flight Lounge. We host many special events at the weekends contact us on 01275473931to find out about our next even or like our facebook page to keep updated. Here at The Flight Lounge, our daily goal is to create, serve and enjoy wholesome food. We love fresh food, flavorful food, food that’s in season, and food that’s distinct. We welcome you to our restaurant, and wish you a hearty appetite. 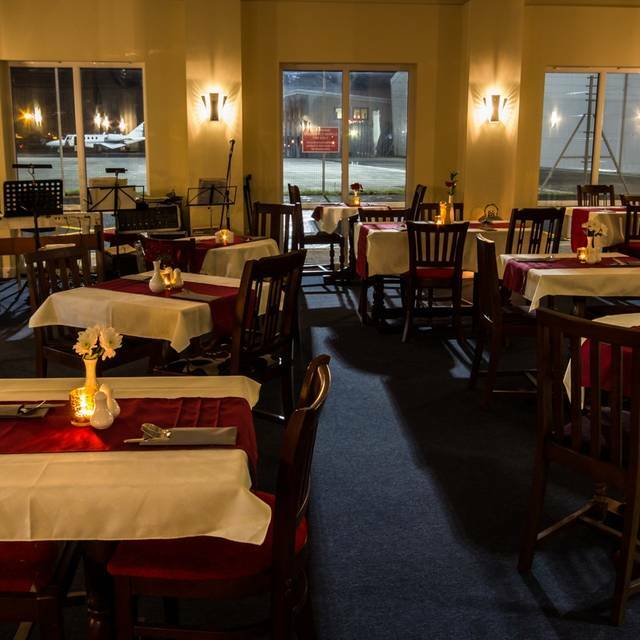 The Flight Lounge Restaurant & Bar is located within Bristol Flying School next to Bristol Airport. The restaurant has stunning views of the airport runway, light aircraft, private jets and the main terminal building to sock up all the action. Cool spot on the runway watching commercial planes take off and the private planes land. Great for coffee/snack, the food was not good though. We had burgers and chips and baguettes and it was really poor quality produce and greasy. This may be because the normal chef wasn’t there though. Staff were super friendly and lovely though. Would go back, but not to eat. The kids loved it! We had a family meal here at around 2:30 pm as we were about to depart from Bristol airport for a weeks holiday. It was perfect for us as we had our meal, took the car to the long term parking then went into departures. We had an outstanding meal that was excellent value for money. I would highly recommend this venue for other travelers if they're time table allows it. Much better value than the outlets within the airport departure area. Of the three of us, 2 had a freshly prepared Moroccan chicken curry with rice (which was delicious) and the other had a chicken burger and fries (also delicious). All were good sized portions and were just over £10 each including a drink. Brilliant cafe for children to sit in the warm and watch the planes. Lovely food and good sized portions. Staff very helpful and friendly.